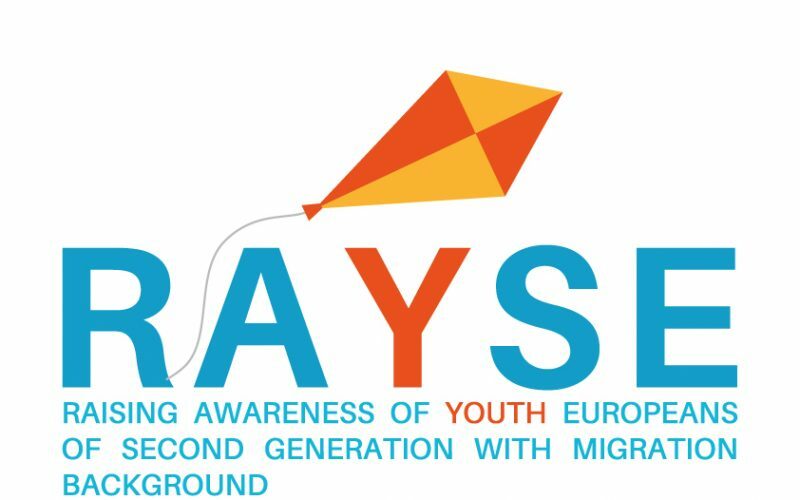 RAYSE: Raising awareness of youth Europeans of second generation with migration background. The Project is funded Erasmus+ Programme, Key Action 3 – . The project focuses on youth participation in the promotion of active citizenship, it emphasizes on youngsters’ social inclusion and contribution to the development of democracy. Based on the current contemporary problems concerning European integration, all organisations involved in the project aim at bringing attention to the second generation European citizens. Storytelling method will be used for raising specific awareness and involving in training activities for being active European citizens of second generation. RAYSE aims at supporting the young people of second generation with non-EU migration background to know better their stories, tackle obstacles and face challenges they meet in their country. In this regard, six young people with such background will be selected in order to become Youth Ambassadors. They will have opportunity to create a direct contact with policy makers and have impact on the policies of the new European Commission in Charge from 2019. The project is coordinated by TIA FORMAZIONE (Italy) and is implemented in partnership with Association EUNI PARTNERS (Bulgaria), ILA LABOUR (Netherland), EU DIASPORA COUNCIL (Sweden), ACD LA HOYA (Spain) and IED (Greece).